Hello! 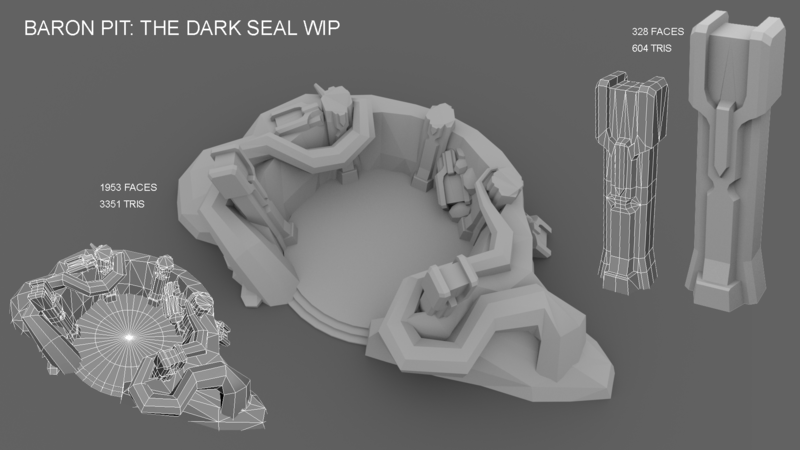 For this entry, I will be tackling the creep den and turret. 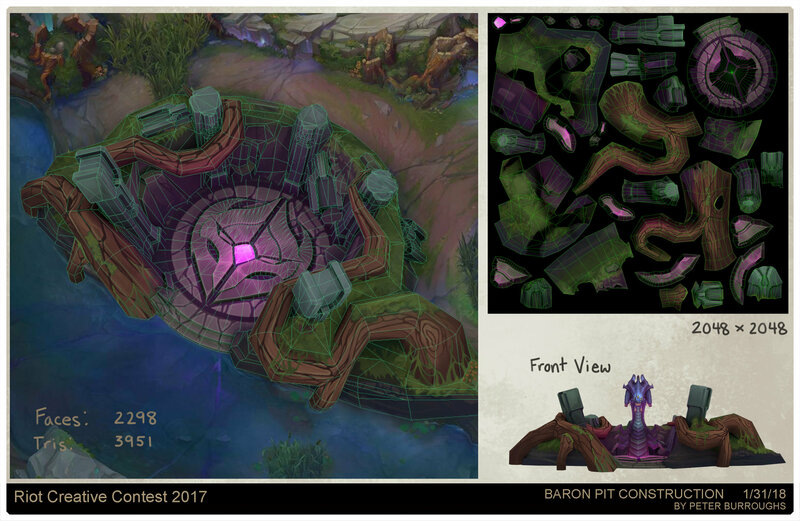 I'm undecided on what the turret should look like, but for the creep den, I'd like to rework Baron Pit. 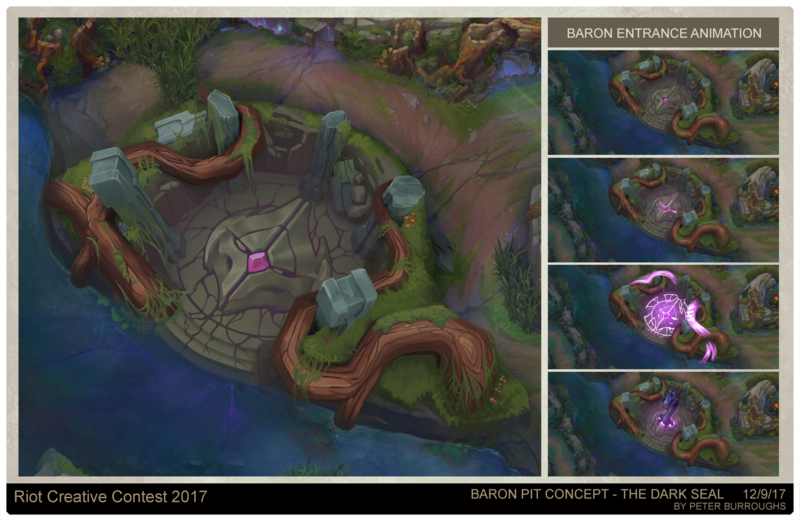 I really love the visual update that was made to Baron when Summoner's Rift was overhauled, and I think Baron Pit could be even more epic! More posts incoming! 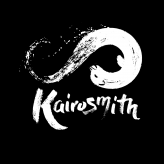 After some thought (and exploring the Summoner's Rift map as Kayn in custom games! ), one area I see for improvement is the backstory of the environment. 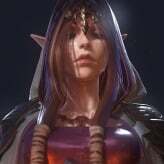 Narrative isn't the focus in matches of League of Legends, but even though this isn't a story-based game, I think we can push the story-telling more in the environment itself. Wolves have a den they leap out of. You can see nests from the raptors. But what about Baron? He sort of just pops out of a void-ish crack in the ground, and the only bit of lore out there is found on the League of Legends wikia: "The Rifts unstable magic has inadvertently cause the reemergence of Baron Nashor, a large Serpent/Worm largely believed to be dead for centuries. It has his corruption affecting the land around him." If Baron's corruption affects the natural world around him and he's believed to be dead for centuries, I'm going to hypothesize that he was an issue for Runeterra in the distant past. What if he wasn't killed per say, but rather wounded and forced to retreat, or sealed away so that he couldn't return? Running with the idea of being sealed away, Baron Pit could be an area with a stone-engraved seal, much like the two fountains on either end of the map. Perhaps a shrine/temple was built around the seal to protect it and serve as a reminder, but over the years it has become overgrown and fallen into ruin. The magical fluctuations in modern times coupled with the lack of maintenance are just now allowing Baron to reemerge. 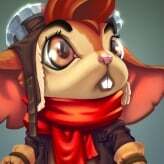 Over the progress of the game, the seal could break more and more (every 5 minutes?) to show how much closer Baron is to arriving. And of course, the Rift Herald is our by-product of the void/corruption leaking out! I absolutely love how there are little Easter eggs hidden in the environment, like the old Baron's skull and the Helmet Bro armor laying around in the pit. I would like to push this even more, and see about possibly incorporating discontinued items and/or tying in existing items into the Baron Pit to make it an homage to the history of the game. I've grabbed 200+ references for my artwork, which can be found on my Pinterest board, but below are some of my favorites! Next up, sketches! You've definitely got a leg up with me with your understanding of the lore. Narrative a super important component of environments that many seem to push to the side. I'm excited to see what comes out of your knowledge of the lore and the environments of this game! Excited to see this process. This past week, I focused on brainstorming via thumbnail sketches. 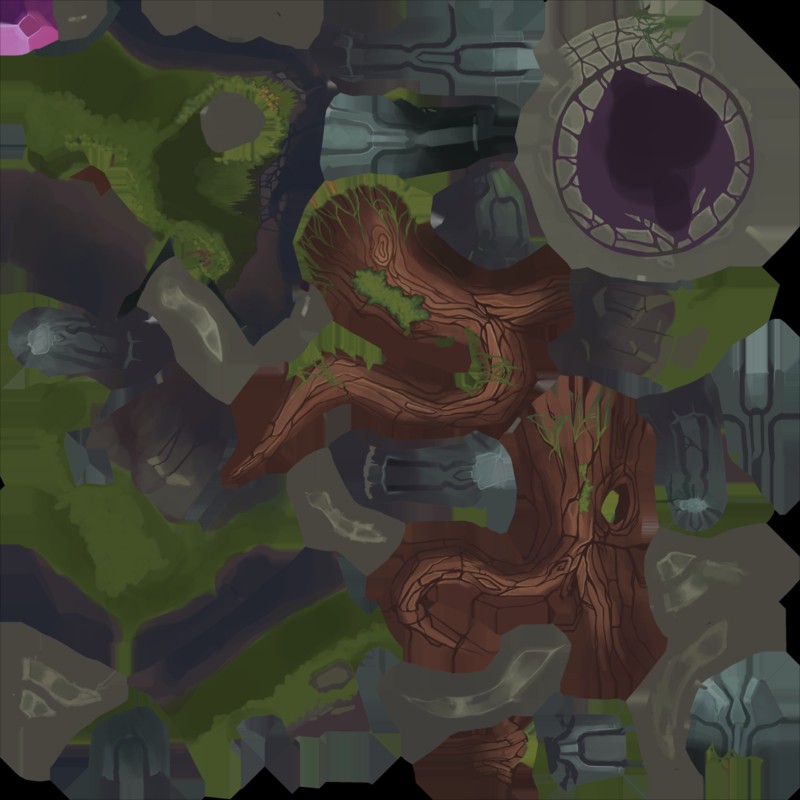 I decided to tackle baron pit first, and I'll probably let that influence what my tower/inhib will look like. 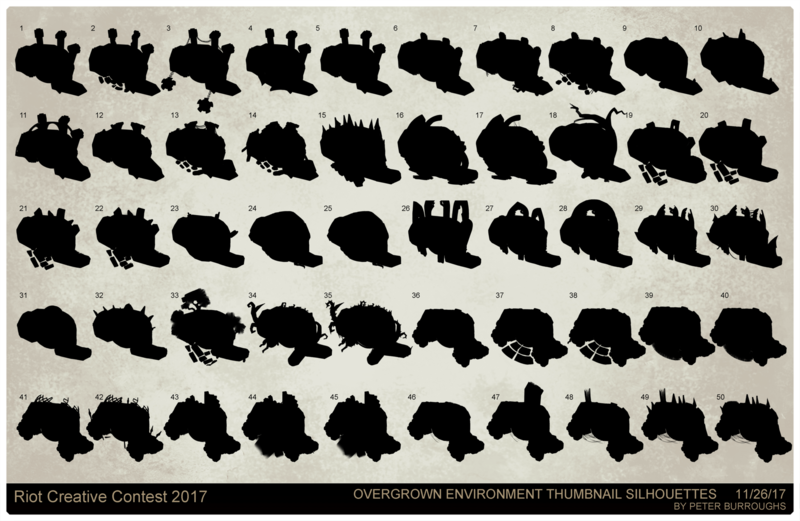 Below are 50 sketches of the environment, along with silhouettes. After about a dozen sketches of different magical seals, I started to run out of ideas, so I turned to other sources for inspiration. Perhaps baron comes out of a giant sewer grate that the river drains into. Maybe he arrives out of a runic portal. Maybe his soul is bound to a monolithic stone pillar by magical shackles that keep him from returning from another dimension...! 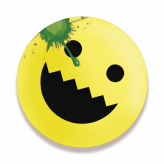 Ahahaha ok, so maybe some of my ideas got reeeaaaal weird, but the point is that in the end, I came up with a lot more ideas than I started with. I'll be narrowing these down to my 10 favorite and adding more detail and color to them. 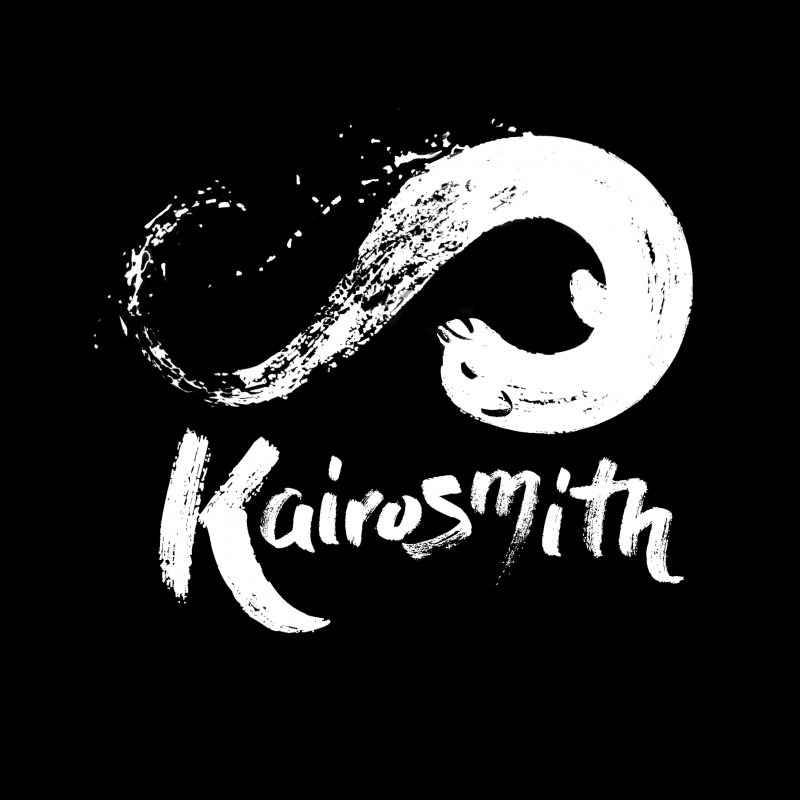 Any feedback and comments are appreciated! 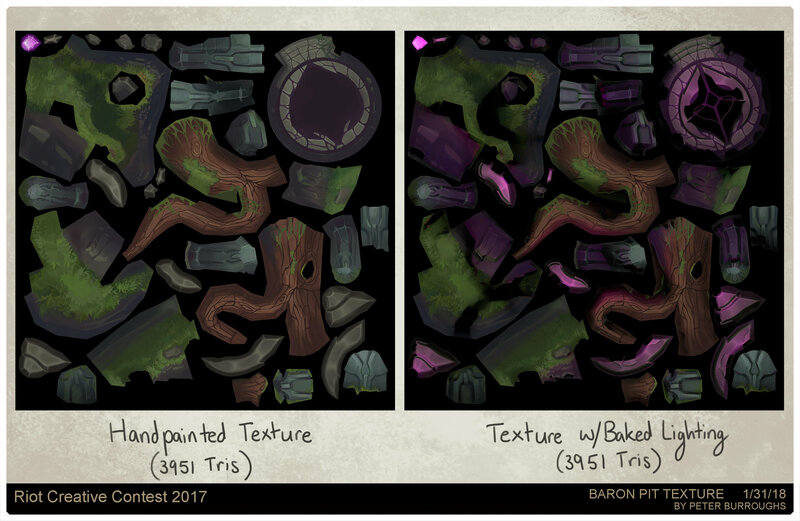 The shape of Baron pit should stay relatively the same. Any change in the outline of the pit would have some pretty big effects on gameplay; for example, removing the nub at 4 o'clock would eliminate important cover from red-side jungle and provide a lot of vision into the river. 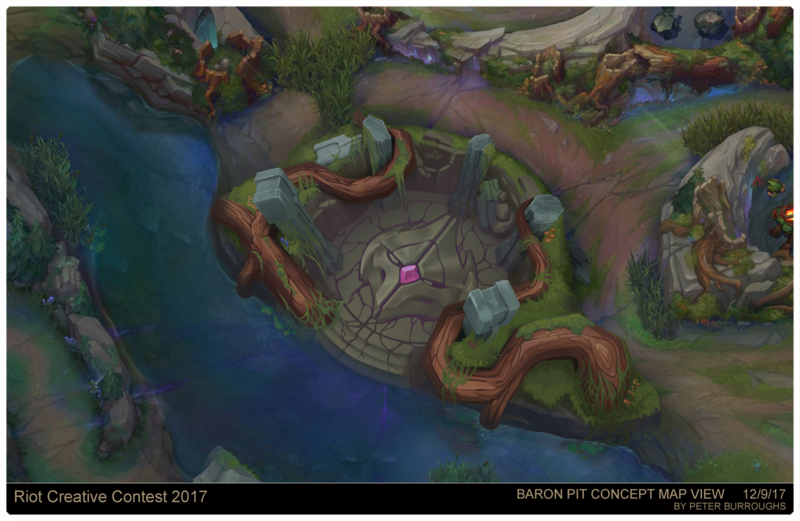 The current shape of the pit already does a good job of giving tactical advantages/disadvantages to whatever team is doing Baron or attempting to steal it, so I don't feel the need to change it. 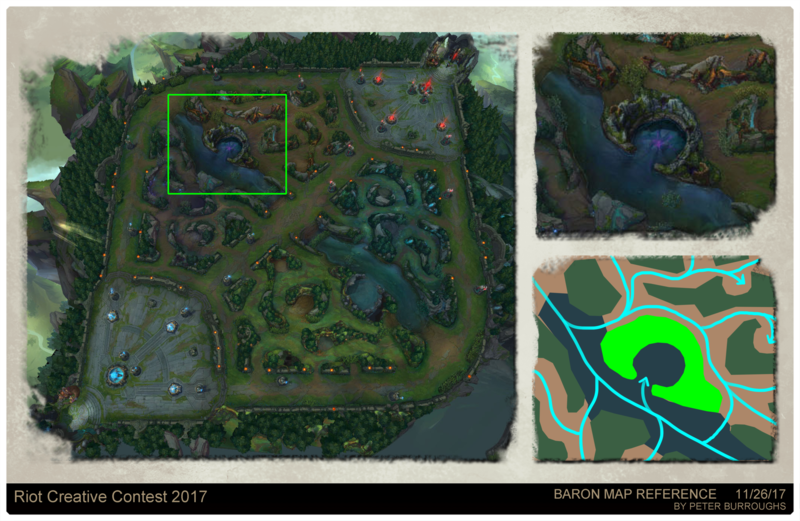 It is important that the back of Baron Pit does not obscure the jungle path behind it. This means that I should be careful about placing a lot of tall elements like pillars there that would prevent players from being able to see where they're clicking. Additionally, players need to understand that they can jump over the walls of the pit, so the back should not be completely walled off. Just some food for thought. Back to the drawing board! I colored/added some detail to my 10 favorite thumbnails, so next step is narrowing it down to 5 with even more detail! 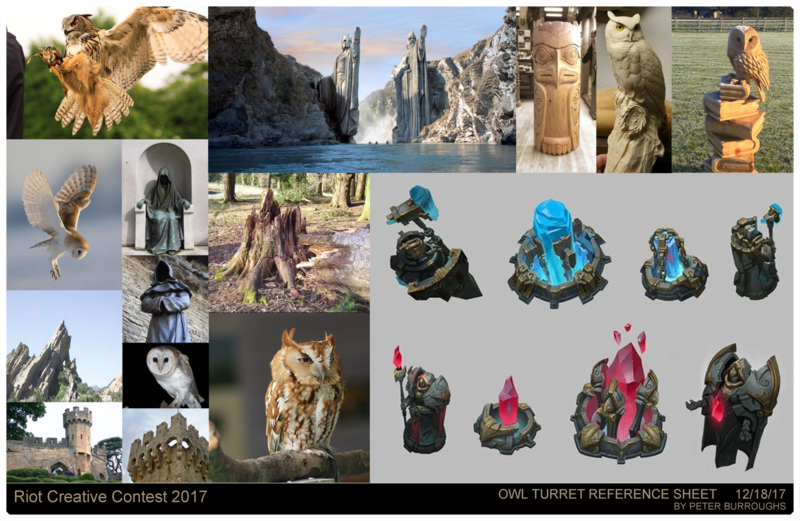 I'll need to take the time now to make sure I'm incorporating a rock and tree in each one, per the rules of the contest. At a glance, I think I'm leaning towards 1,3,4,7,10. 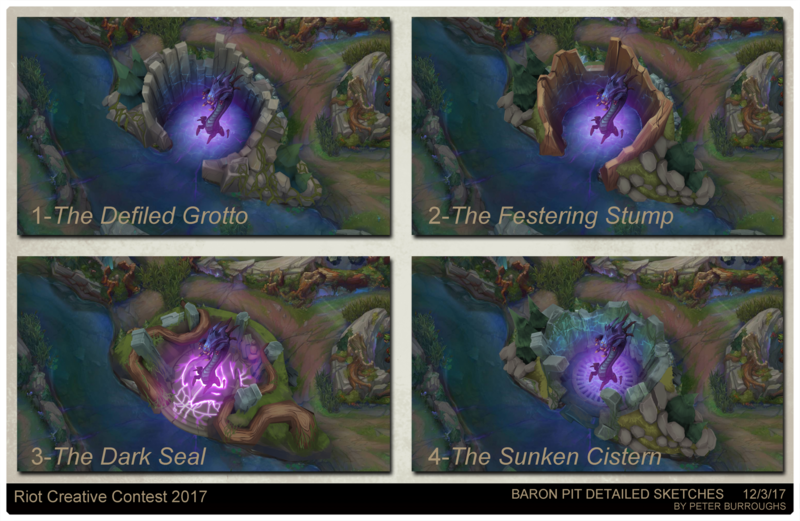 1 & 3 have the nice purple highlight, incorporate some sort of magical seal that's keeping Baron locked away, and they have 5 pillars hinting that it takes 5 people to fight Baron. The vertical shapes in 4/7/10 are appealing, though the area may be too enclosed right now, so I plan on playing around with that in the next iteration. These are very cool concepts. I personally like 3 the best but I think the glow on the stairs is a little too straight forward. Maybe something a bit more chaotic or less symmetrical? I've narrowed my concepts down to the best four. Before I choose one to finalize, any opinions on your favorite(s) are welcome! The rotting remains of a once great tree. 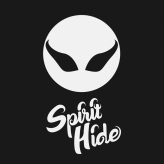 The Great Parasite, Baron Nashor, has bored through the trunk and taken up residence within, spreading his corruption through the surrounding area. Left unchecked, his malevolence will wither everything until it resembles his homeworld, the Void. The site of a dilapidated shrine. Though the Corrupted Wyrm was nigh unkillable, in a heated battle, 5 summoners were able to force Baron into the sacred temple and seal him away. Over many years, the stories have become myths, and the temple fell into disrepair. 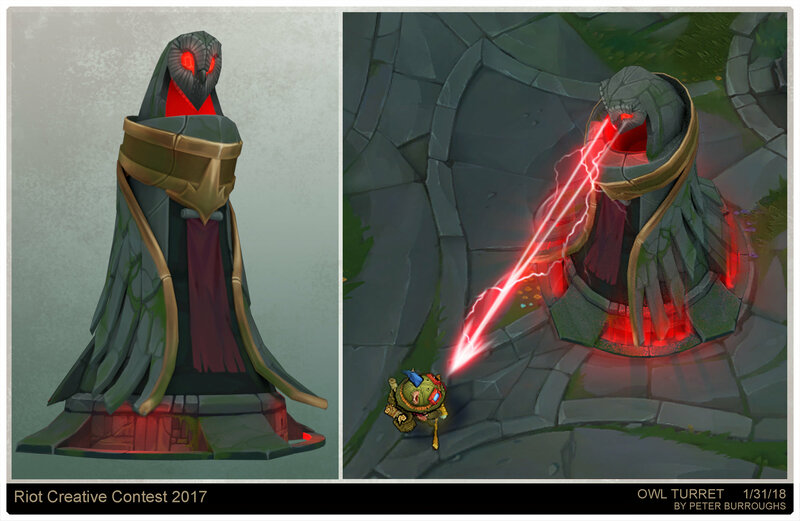 With the Dark Seal broken, Baron has reappeared on Summoner's Rift. The ruins of an ancient cistern. High up in the mountainside, monastic mages drew water up from the ground to keep the land lush. 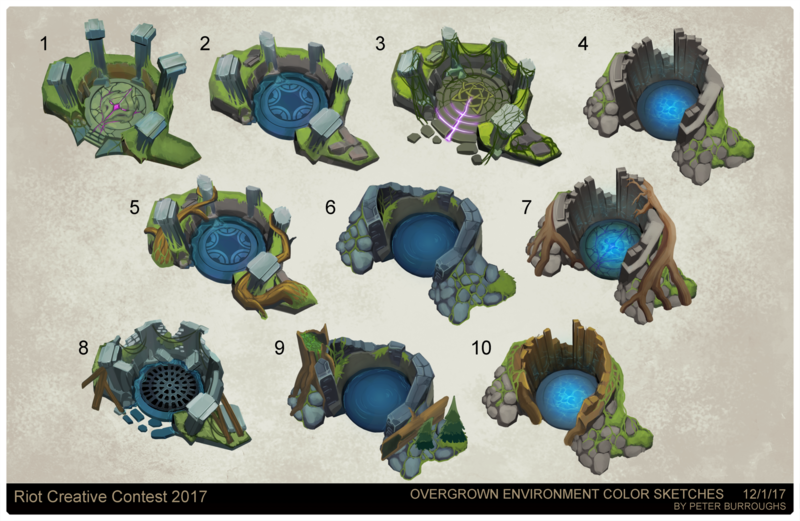 When the site was chosen to be the battleground of Runeterra's champions, the cistern was abandoned. A nexus of magic, Summoner's Rift drew the attention of many creatures, including the mighty Baron Nashor, who has emerged from the subterranean tunnels to feast. Your thoroughness is crazy. 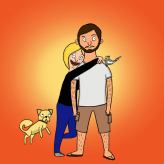 I really enjoy the thumbnail sketches. Very cool to see your process spelled out so plainly. I like 2. 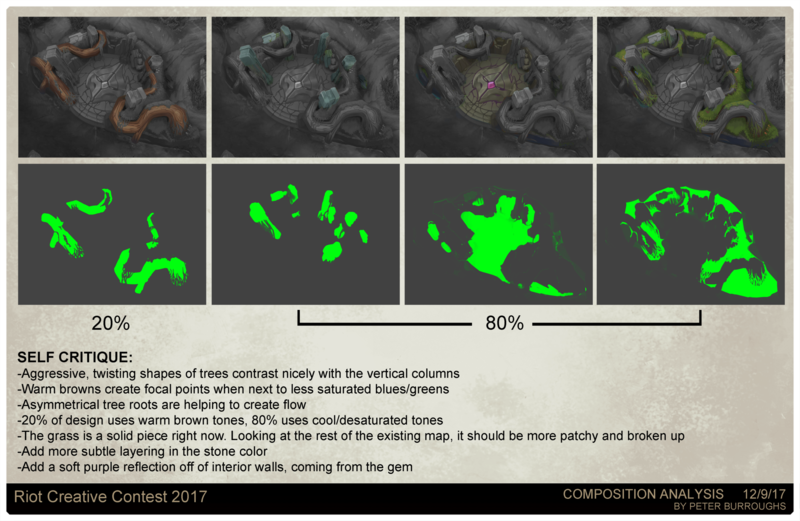 I think maybe you could add some roots coming off the stump to anchor it down to the map. Right now it feels kind of jammed in there. While I really like 3 I think the glowing floor is too much and would interfere with spell/particle effects during gameplay. Great job, your concept are really interesting. The 3rd one is my favourite by far, these twisted roots gives an aggressive feeling that fits the Baron. Plus, the asymmetrical look is really more interesting than the others than tend to stay quite circular. Praetus raised a good point though, the effect is definitely out of the value range for the environment. Although, I'm not sure there's strict specification against that for the contest but if you want to respect the art direction, you should definitely look into it. One thing I'm missing a bit in these is some more elements like bushes, grass, flowers,etc... but maybe you used only a few elements to represent each den. @brettmarshalltucker Thanks! I'm glad you're enjoying the progress pics. I actually used to really dislike doing thumbnail sketches because I was in such a rush to get to the finished product, but now I have a lot of fun doing them after recognizing how they help me come up with ideas! @praetus Good points! 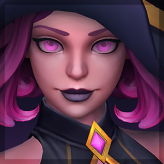 I'll definitely be taking the amount of glow into account, since I know in League, colors that bright are reserved for spells/effects. @Kumator ; My thoughts exactly! Thanks for the feedback! 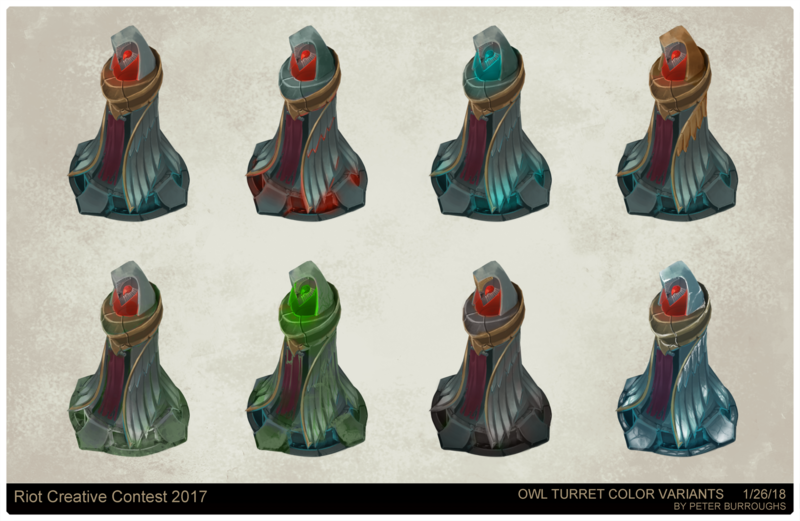 After taking a critical look at all my concepts, I've decided 3-The Dark Seal is the strongest. The shape language and warmer colors of the twisting branches make them a strong focal point of the composition, and contrast well with the vertical pillars. The symbolism of the 5 pillars is also good, since it (ideally!) requires all 5 players to fight Baron. 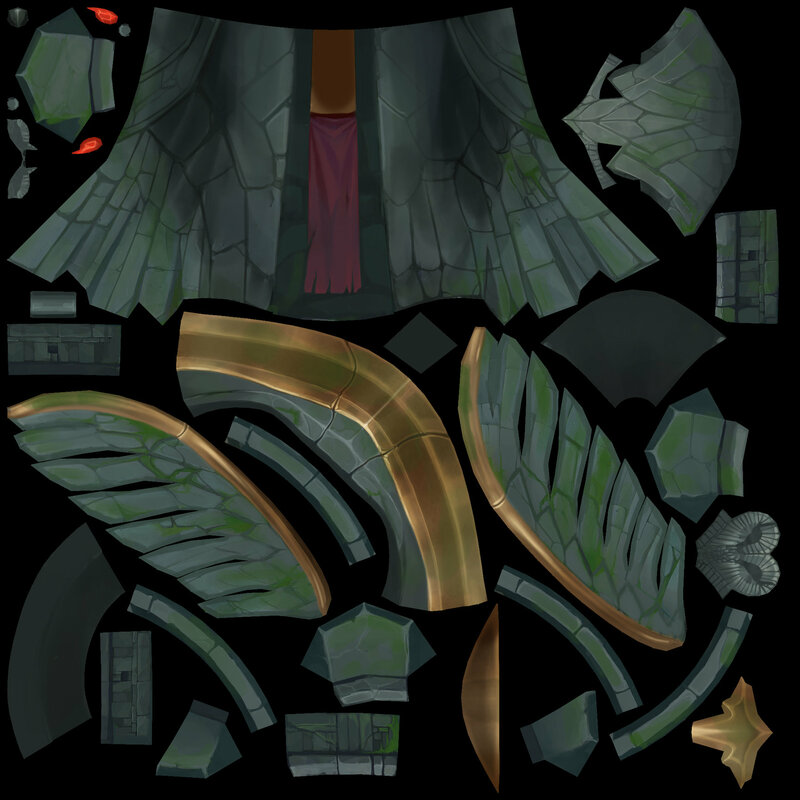 I like the idea that the Dark Seal (same as the in-game item) is locking Baron away, but slowly grows more corrupted as Baron breaks free over the course of 20 min into the game. Here's some screencaps/renders of my modeling so far! 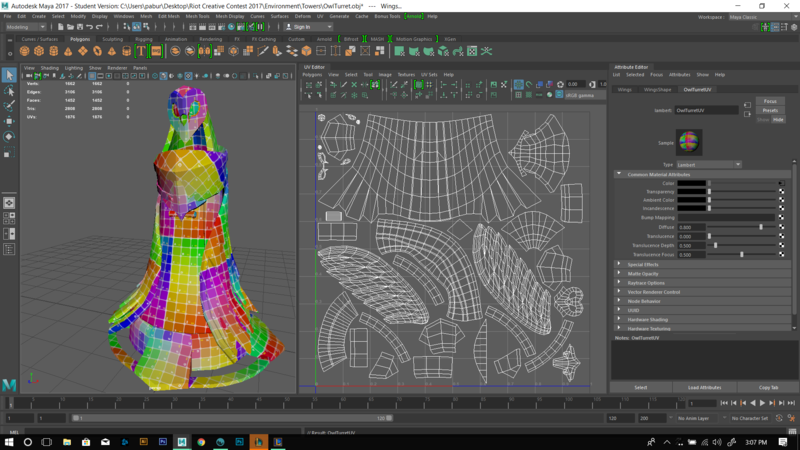 I am currently in the process of learning to sculpt with Zbrush, so I've decided to avoid creating a high poly and go straight to the low poly in Maya, which I'm a lot more familiar with. 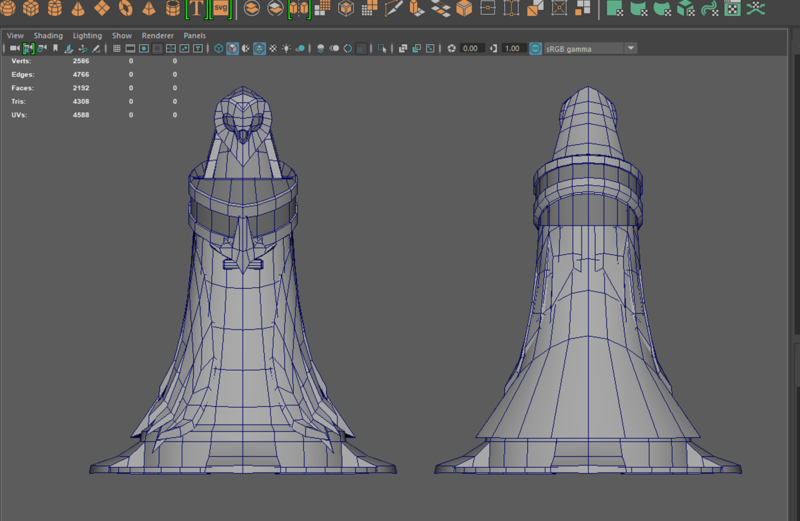 After getting the main shapes in and deleting backfaces, I'm sitting at 3351 tris. 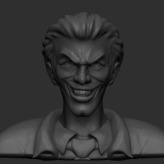 I'm aiming for 5000-6000 tris for the final model, so I'm on target so far! 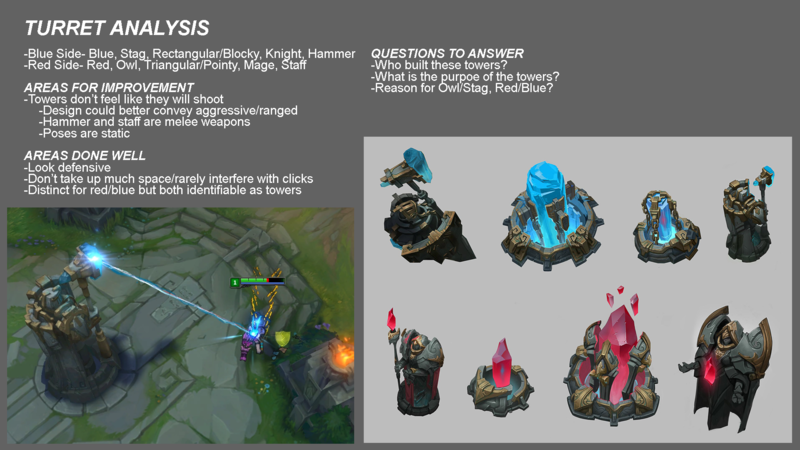 I've also started on the other portion of the contest, the tower/inhib. 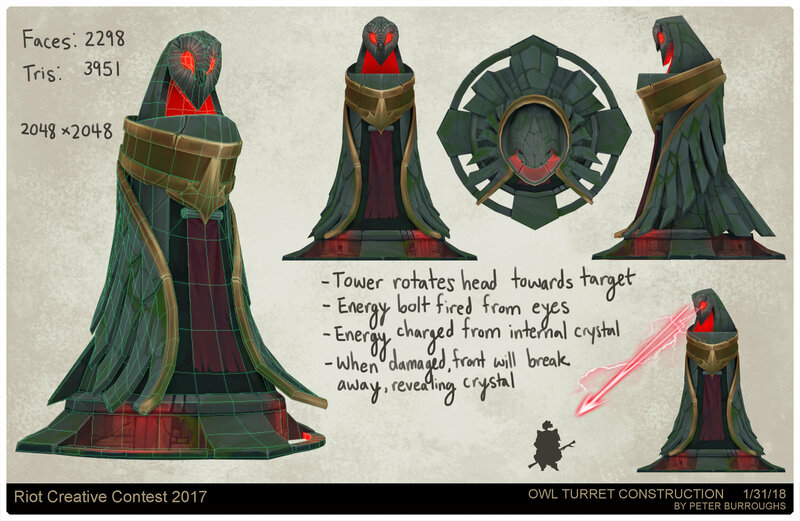 I've decided to focus on the tower idea for my submission, though I might do more just for kicks (having a unified aesthetic across the architecture is pretty important anyways!). 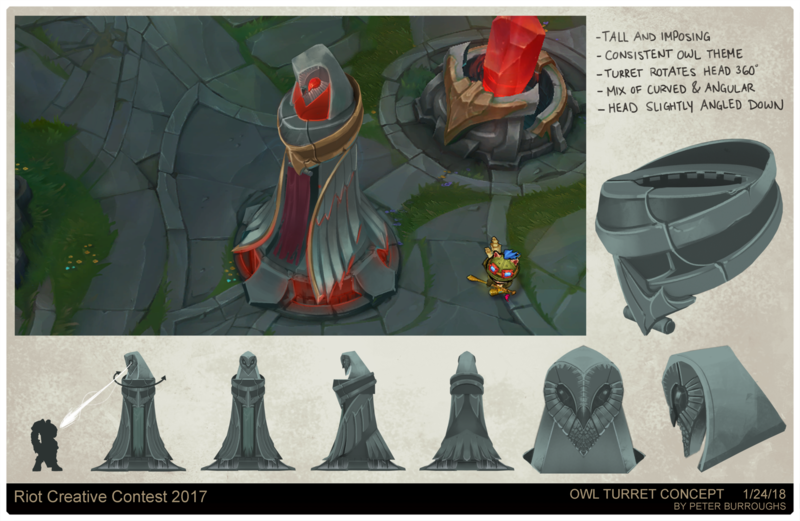 I really really like the whole subtle Red Side- Owl, Blue Side- Stag theme that is already displayed on Summoner's Rift, and I'd like to see that reflected in the other structures. 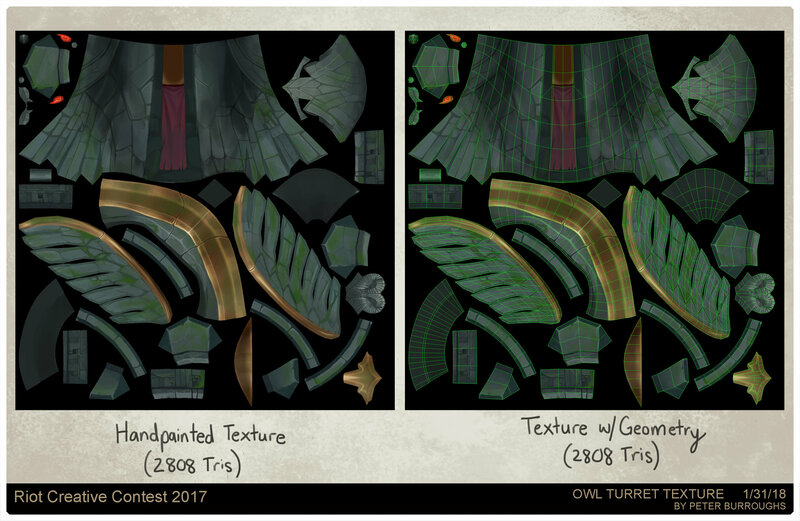 I tackled the turret designs from a problem-solving approach, and you can read some of my thoughts below. 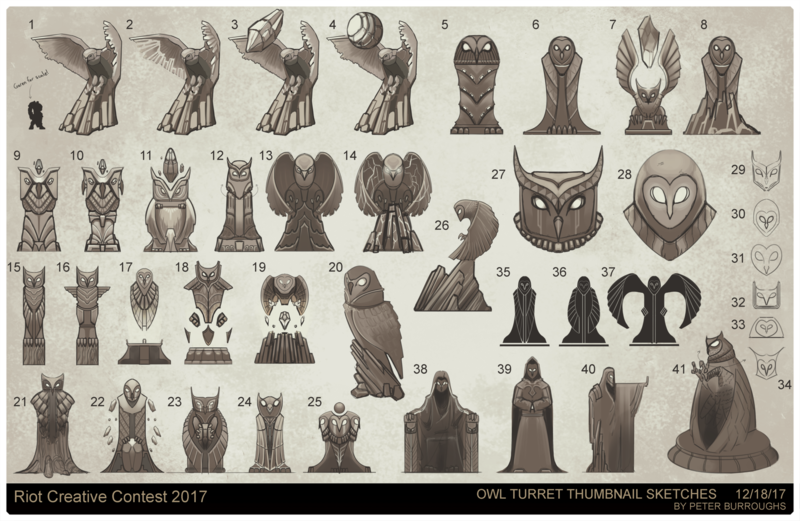 I think representing the Red Turrets with an Owl theme would be particularly perfect because owls are very observant animals, and their big eyes would be an additional indication to the players that nothing can run past the turrets unseen. Additionally, they can rotate their heads 360 degrees, which would show well visually because the turrets need to be able to shoot in all directions. I've selected a few of my references to show and dumped all my initial thoughts into some quick thumbnail sketches, and I'll begin narrowing down the better ideas next! Frickin' sweet work! 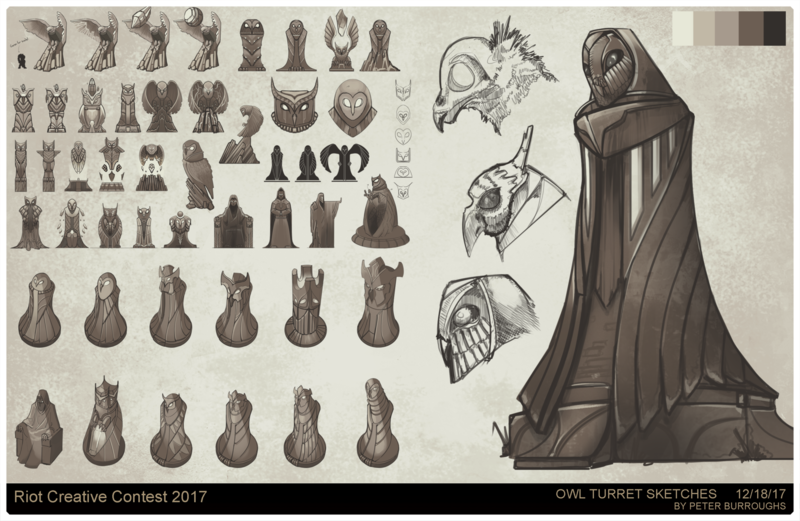 I love the owl turrets. Of them all I like number 7 - it gives a powerful sense of movement, like he just landed or is taking off. Can't wait to see everything completed! 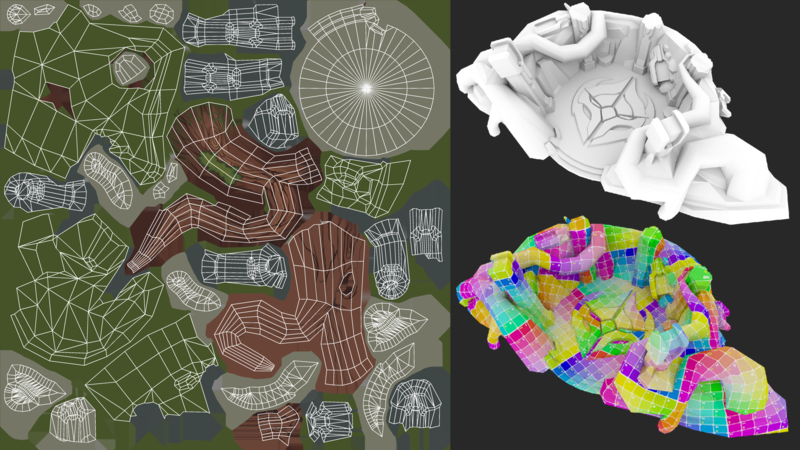 Alrighty, finished the UV unwrapping (and all under 4000 tris!)!! 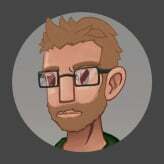 I'm primarily a concept artist to be quite honest, so these next few updates will probably be slower as I try to figure out how to handle all this 3D art stuff. 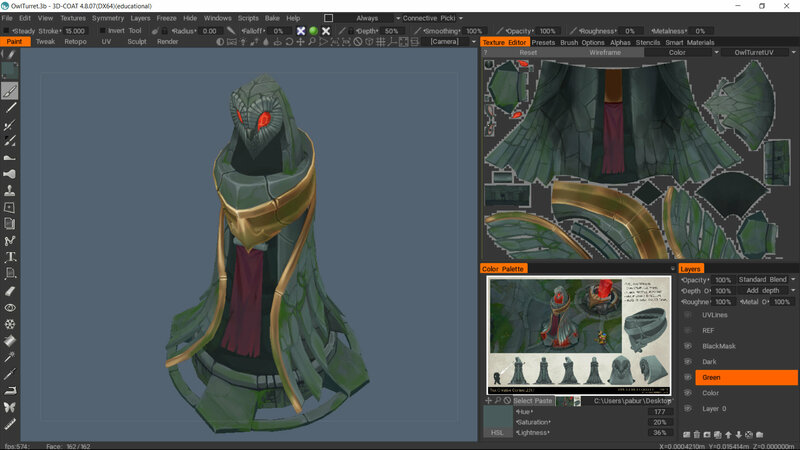 A friend recommended that I try out a program called 3D Coat, since its pretty easy to use coming from Maya. Can't say I know much about it at all, but it did help me pack the UVs nicely, and I really enjoy being able to paint directly on the model. 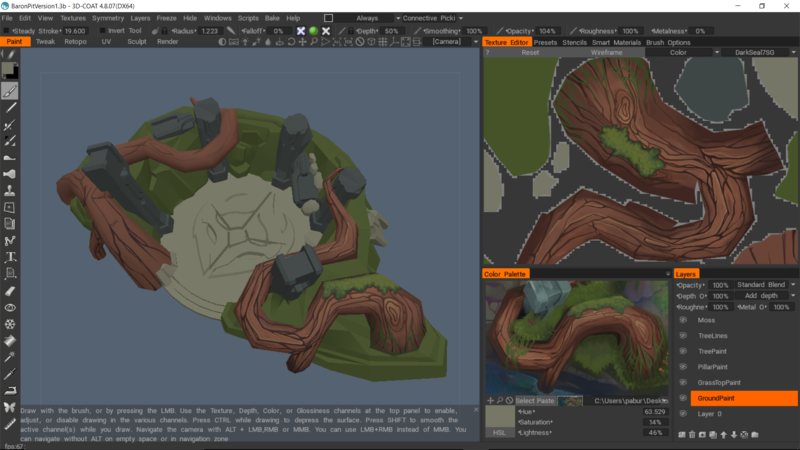 I'm just laying down base colors right now, but I think once I have some details on the texture sheet, I'll be able to take it into Photoshop and adjust everything. I hope everyone has been enjoying the holidays! Stay warm and safe travels! Here's a bit more progress, after laying down some base colors! I'll be taking this into Photoshop to do some cleanup painting and refinement next. Whew! 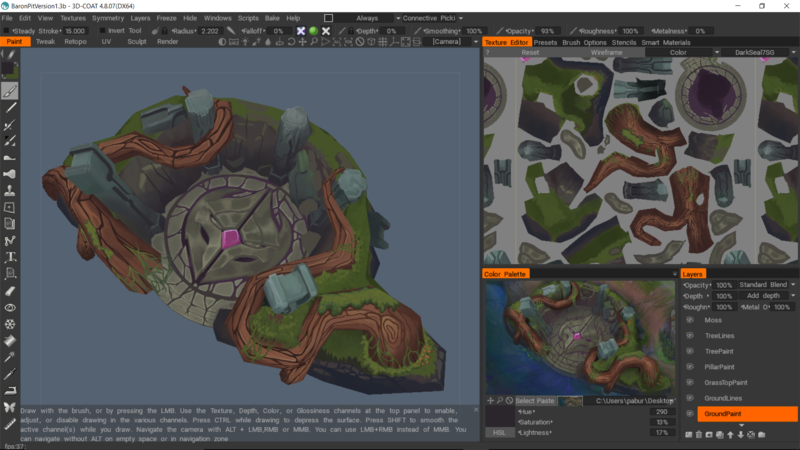 Life got unexpectedly crazy, and I wasn't quite sure I'd be able to keep working on this, but I should have just enough time to finish painting these environment pieces. Time to go go go! 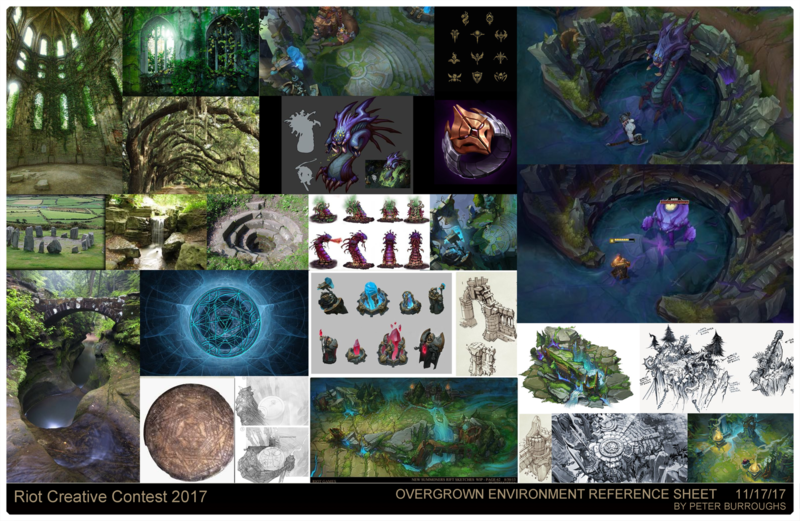 Also nice work on all the concept sketching, that's a lot of good ideas. Midnight update! Making some progress on the tower. 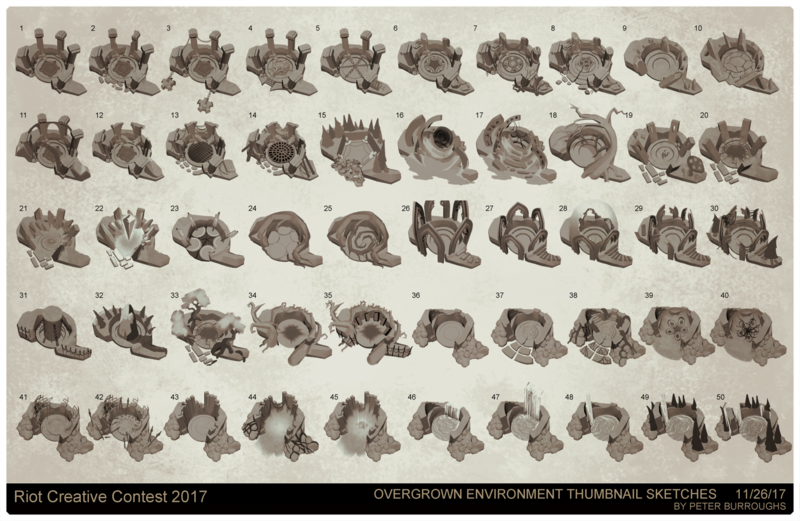 I've just submitted my work to the contest!! That was a helluva lot of work, and I definitely feel that its one of my best projects to date. I've learned so much about painting and modeling in the past few weeks, and I can see plenty of areas for improvement now, but any and all feedback is welcome! Good luck to everyone; I've enjoyed seeing the progress we've all been making!